Slot machines have come a long way since they were first conceptualized, and made a reality by one Charles Fey back in the late 1800s. Chances are if he were to come back to life today, and behold the descendants of what he had created, he might have some difficulty recognizing them. Experiments were being carried out by one company from as far back as 1940 with an electromechanical version of slot machines. It was not until 1963, however, that one was fully developed. 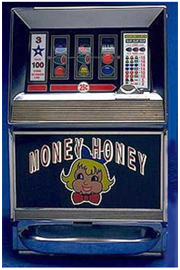 This slot machine was called Money Honey, and is perhaps the closest thing considered to be a prototype for the online slot machines that exist today. Its claim to fame lay in two particular features, its bottomless hopper, and its automatic payout capability of up to 500 coins without the assistance of an attendant. Online slot machines are referred to sometimes as one-armed bandits. The one-armed part of the name came about because in its early days the slot machine had a lever on the side of it which, when pulled, spun the reels in the cabinet. 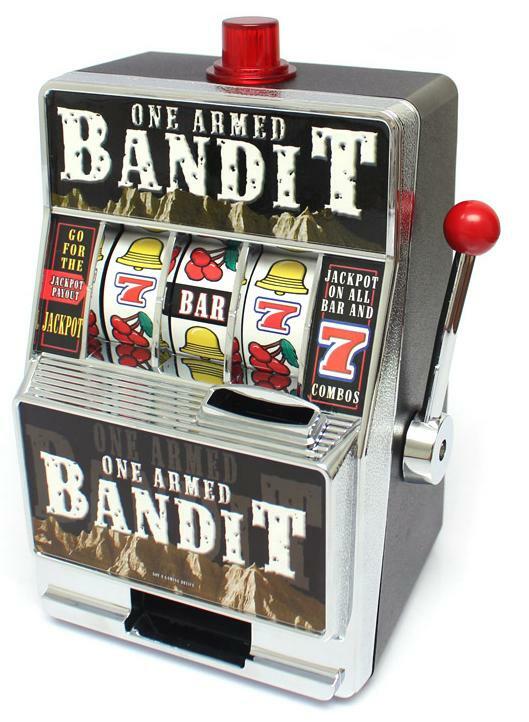 The bandit part of the name was derived from the fact that many considered the machine to be a robber, as its players often wound up leaving with empty pockets. The lever, or arm, of the slot machines is a casualty of evolution and technology and is no longer around. Instead of traveling all the way to the famous casinos of Las Vegas or Atlantic City, these days you now have the option of playing slot machines from the comfort of your own home. Today there abounds an enormous range of online slot machines, which are actually digitized versions of those found in your regular, real-life casino. They are the same in principle with only two main differences. 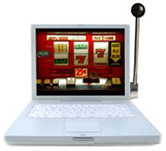 Firstly, online slot machines are completely digitized. Secondly, being Internet based, the online player has many more options than his counterpart in the casino halls. The online slots machine player has the option of playing two types of slots games: one for real money and the other for free games, where only imaginary money is involved and the game is solely for fun. The question is often asked whether or not each spin the online slots machine makes is random. As a matter of fact the answer is yes. Each spin is random and there is no direct relationship between the amount of money wagered and the time interval between when jackpots are won. Video slots, because they are equipped with virtual reels, do not need to weight individual symbols as is the case with physical slots machines. All that is done is to add fewer symbols to the highest paying reels and more to the lower paying reels. Anywhere from between tens to hundreds of symbols can be accommodated on these virtual reels. The payout percentages of the online slots machine games cannot be adjusted by the casinos. The payout rate for each machine comes pre-set from the factory and to change this a new gaming chip would have to be obtained from the manufacturer. There is no known foolproof system capable of beating online slots machines. What the actual game of slots consists of is the player making a wager and pulling a lever, which in turn initiates the visible spinning of three to seven reels inside a cabinet. Keypunches on a keyboard, which replaces the lever in real-life games, achieve this same result. When the reels stop, if the symbols on them are of a particular pattern, then the player is a winner and can collect his or her winnings. If the symbols are not favorable then the player loses his wager and may repeat the process. Players have the option of wagering varying amounts per spin. The greater the amount wagered per spin the greater is likely to be the amount won as they are directly related. The game is entirely based on luck and absolutely no skill whatsoever is required or involved. 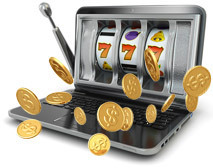 Playing online slots machines is not a difficult task by any means; it is in fact quite simple. All that is necessary is for you to set up an account, download the software on to your computer, and you’re ready to go.